I promised you a recipe featuring my pickled shiitakes and here it is. 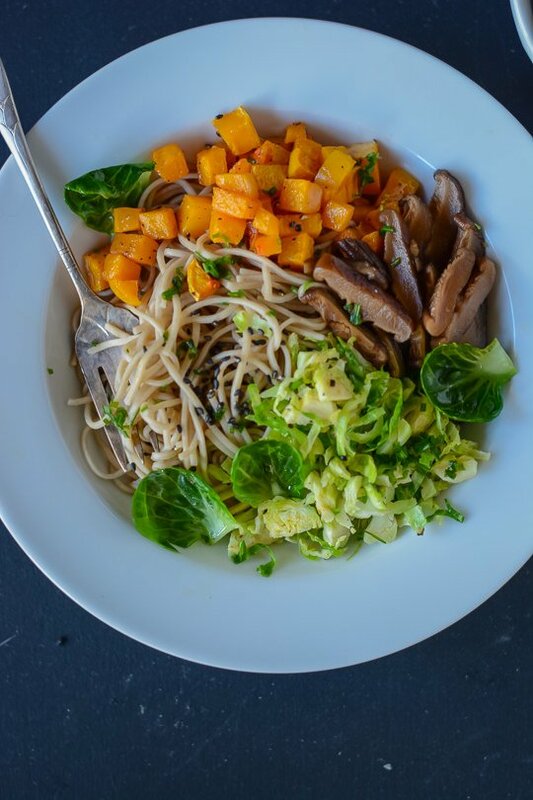 Using a tablespoon or two of the reserved pickling liquid makes a great seasoning base for soba nouodles and I’ve paired the salty shitakes with sweet butternut squash and crunchy Brussels sprouts for texture. 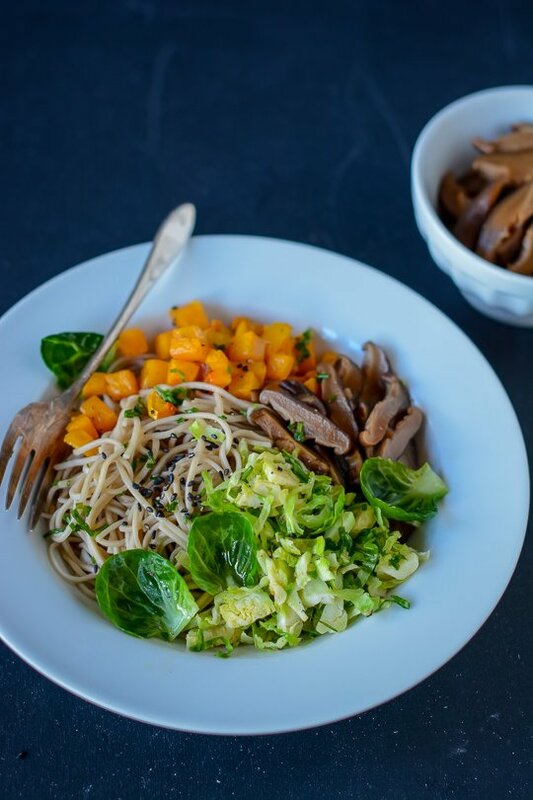 I keep a jar of shiitakes in the refrigerator so I can whip this up in less than 30 minutes. I hope you enjoy it if you give it a try, it’s my favorite weekday lunch! Using the extra pickling liquid as a sauce for the noodles makes this a super flavorful meal without a lot of work. Pre-heat the oven to 400 degrees. Line a baking sheet with parchment paper. Add the butternut squash to the baking sheet, toss with 1 tablespoon of olive oil and season with salt and pepper. Roast until tender about 15 - 20 minutes. 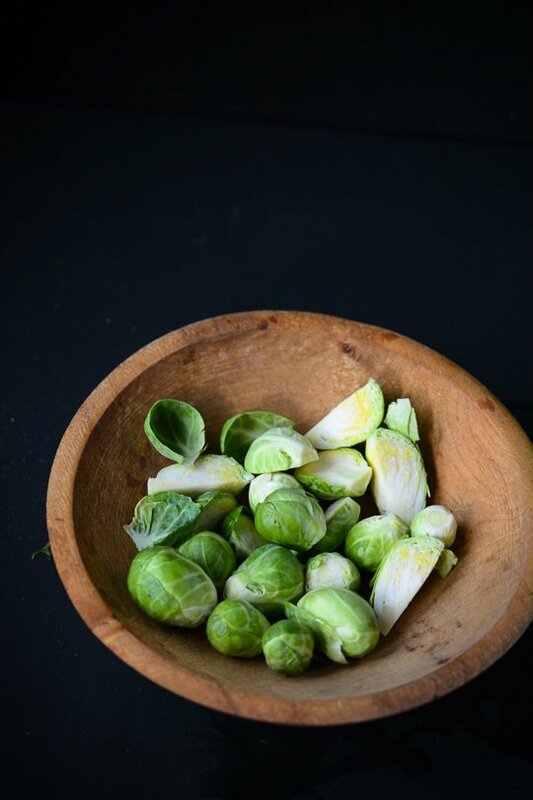 Cut the Brussels sprouts in half lengthwise and then finely shred them. 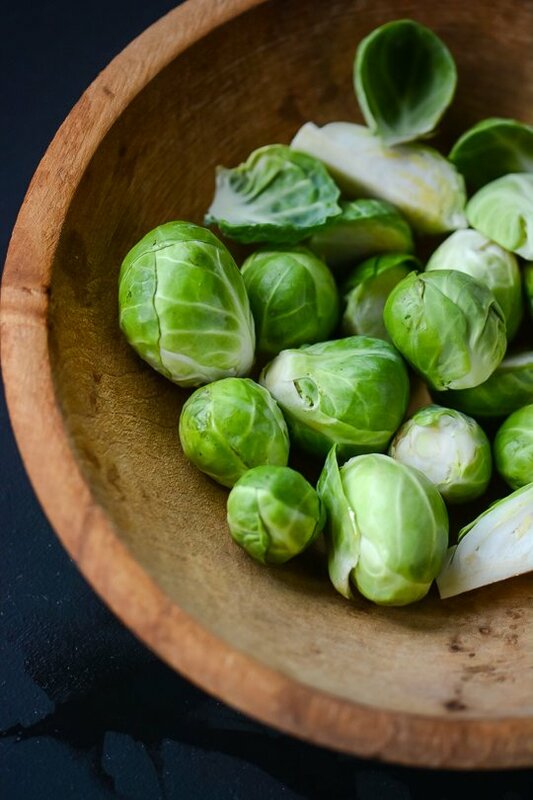 Heat a teaspoon of olive oil in a skillet over medium high heat and add the Brussels sprouts and cook for 2 to 3 minutes just until they begin to soften. 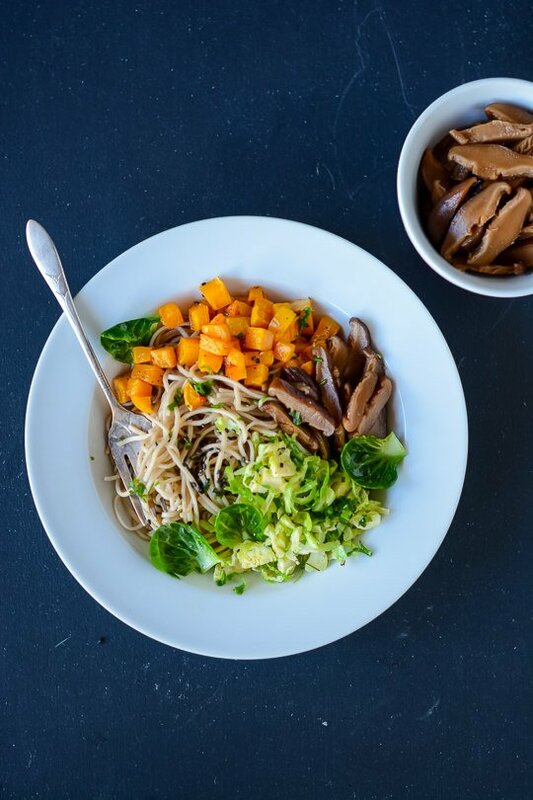 Divide the soba between two bowls and top with the squash, mushrooms and brussels sprouts. 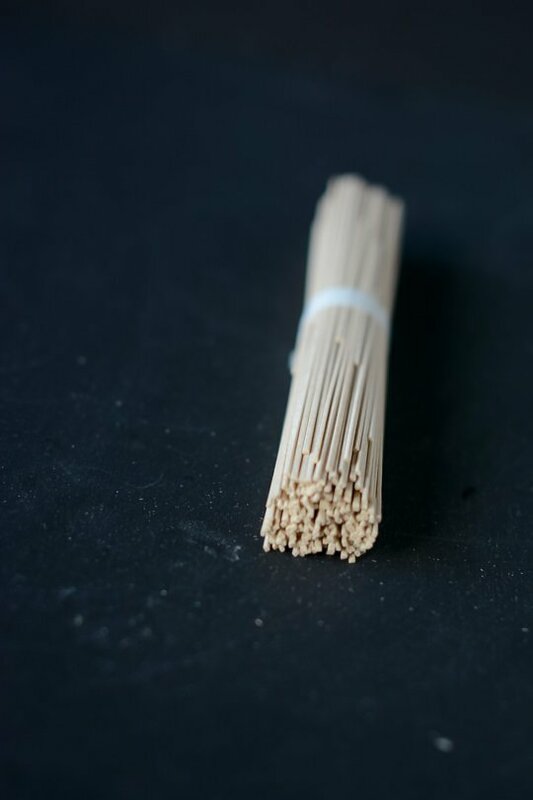 Garnish with the chives and sesame seeds and serve.